This heavy duty bar tacking rope stitching machine purchased by the manufacturer of high-quality electrical protective equipment and various devices in Minsk, Belarus. 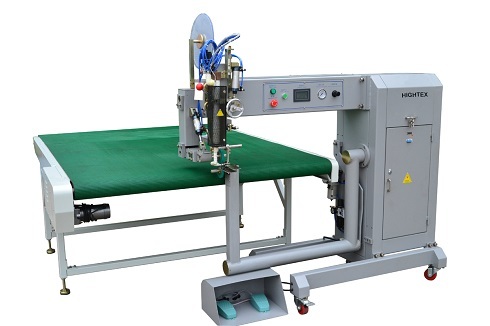 This heavy duty electronic controlled pattern sewing machine purchased by a company specializes in producing of technical materials with PVC covering and textile webbing slings in Mogilev, Belarus. The 733PLC class is one of the most heavy duty programmable electronic pattern sewing machines in production today. 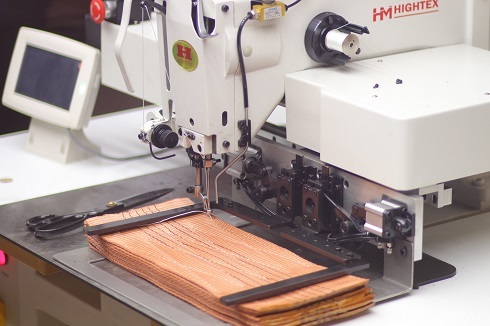 It can be used to stitch many heavy duty applications such as lifting slings, parachute harness, rigging gear, particularly for the Automotive, Aviation and Military Industries. 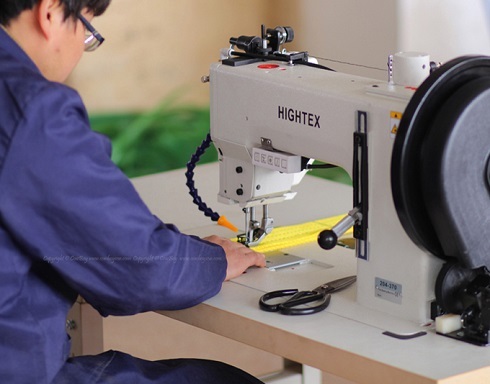 This heaviest automatic sewing machine purchased by the manufacturer of high-quality electrical protective equipment and various devices in Minsk, Belarus. 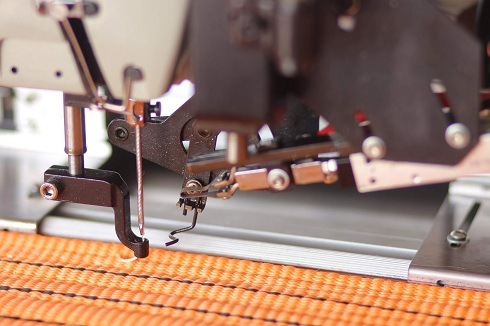 One of the best heavy duty industrial sewing machine for webbing products, ideal for stitching 2-5 ply Nylon or Polyester slings in the production of heavy duty lifting slings, cargo lashing straps, safety harness and other synthetic webbing products. This heavy duty lifting slings sewing machine ordered by a company specializes in producing of technical materials with PVC covering and textile webbing slings in Mogilev, Belarus. 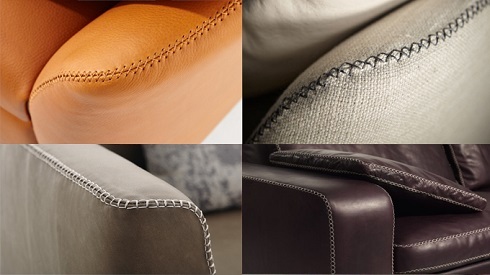 The special roller presser foot can easily sewing corners of leather sofas & armchair, recliner chairs, leather car seat covers. 6 different cams for up to 12 different decorative stitches, including T-stitch, Box-stitch, Zigzag bar-tacking etc. This thick thread leather sofa decorative stitching sewing machine is purchased by by the largest Germany manufacturerpholstered furniture in Brest area, Byelorussia. This hot air inflatable welding machine purchased by a company specializes in producing of technical materials with PVC covering and textile webbing slings in Mogilev, Belarus.